We love Kamen Rider Ex-Aid. And we love Kamen Rider Ex-Aid figures. So obviously, we love the display shown off today of S.H. 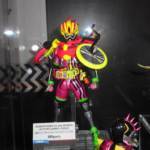 Figuarts Kamen Rider Ex-Aid Sports Action Gamer Level 3. This is currently only a prototype and there is no release information available at this time. We can only hope that this figure sees a release as it looks beautiful! Thanks to @dewachang on Twitter for the images. These Ex-Aid SH Figuarts are going to be the death of my wallet. And I am totally okay with that. Thanks @dewachang on Twitter for images. They also showed Cronus with the Gamedeus weapons, not sure if they were shown before. 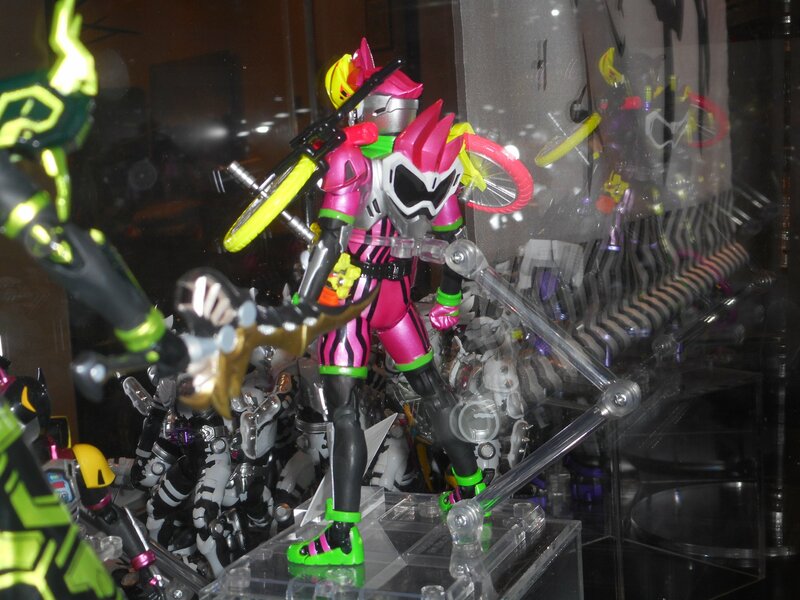 And eh I would have preferred his Mecha Lvl 3, but I guess they already had the mold from that Genm display they did. I wonder if they're ever gonna release Para-DX Lvl 50 forms because it seems like they've stopped making appearances at these shows entirely. Hopely we will has other Level 3 Forms especially Lazer Chambara Bike Gamer. That's a weird one, how often did he use this form in the show? Once or twice, right? 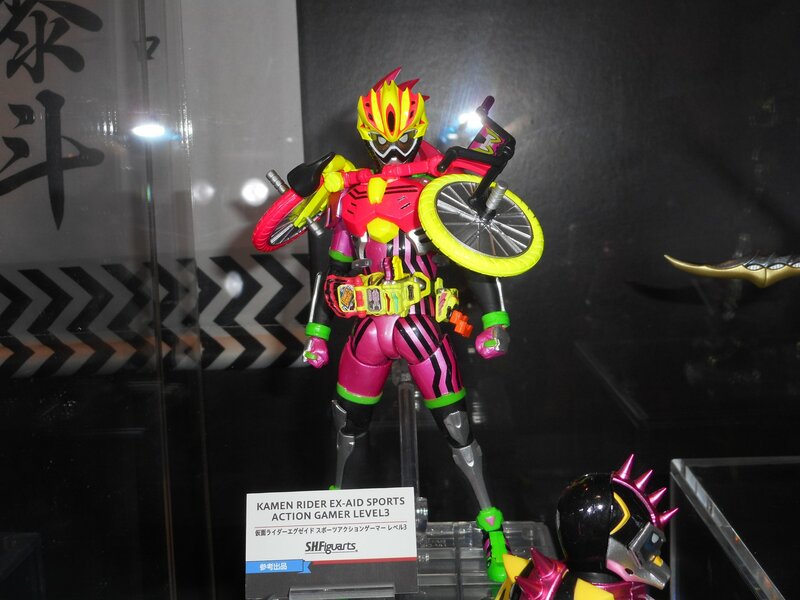 Oh well, it's an easy recolor of Genm and it's not yet confirmed for release anyways. The Gamedeus weapons on Chronus are super nice. I don't think I will buy the figure but those are great accessories. If they are included, maybe it's just a teaser for the Gamedeus-repaint? They told him. They said to Ex-aid "it doesn't actually count as a helmet! It's got hair and you can barely see! Don't go BMX-ing in that outfit!" But he didn't listen, and as he took a wrong turn on a mountain trail, he fell off his bike and crashed right through it, and the (other) doctors said it can never be removed or it'll kill him.